You already know I love me a good food holiday! There’s no better excuse to eat or drink the things we love most, than a made up food holiday on a random day of the year! It’s seriously the best thing! 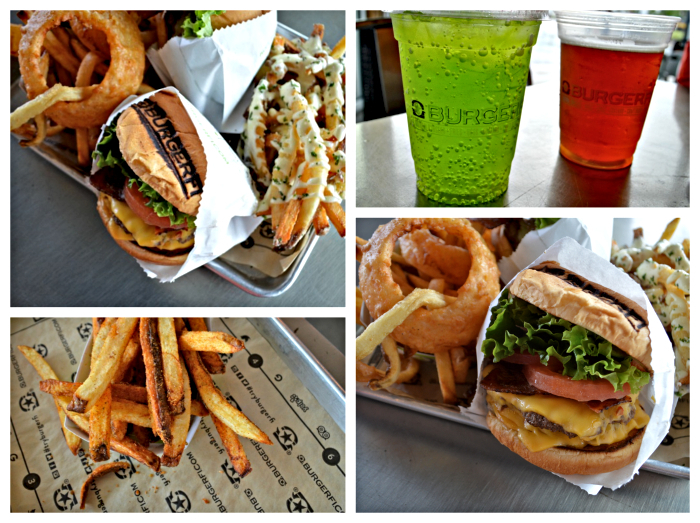 Tomorrow is National Cheeseburger Day and BurgerFi is celebrating in a major way! On Tuesday, September 18th, you can stop by BurgerFi and get a $1 Cheeseburger with the purchase of a BurgerFi Cheeseburger. That’s almost 2 for the price of one! The burger features two all-natural Angus beef patties, with Double American Cheese, Lettuce, Tomato, and BurgerFi Sauce and you can’t forget the fries! “French Fries Forever”! Their garlic Parmesan fries and Cajun fries are amazing and a must-try! 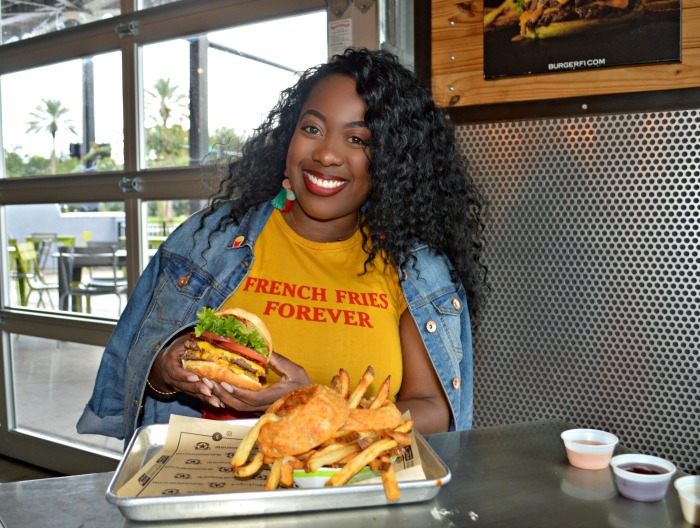 In honor of National Cheeseburger Day, BurgerFi has also launched a My BurgerFi Photo contest so now, through Sunday, September 23, you can snap a pic of yourself with your favorite BurgerFi food and upload a pic using #MyBurgerFi for a chance to win the ultimate getaway trip! When I saw this I thought “You want me to take a picture with my food and post it on social media and I could win a trip…or free food?” Say no more fam!” Boom! I mean, this is my kind of thing! Right up my alley! Here are the prizes! The winners will be announced on October 5th! For more info about the contest click here. Grand Prize: Trip for 2: Trip includes airfare, 3 night hotel stay, $150 per day spending money. Choose from one of these fantastic locations: Austin, TX, Denver, CO, Fort Lauderdale, FL, New York City, NY. Free BurgerFi for a year. Weekly Winners: There will be one winner chosen randomly once a week for a $25 BurgerFi Gift Card. So a little bit more about BurgerFi! 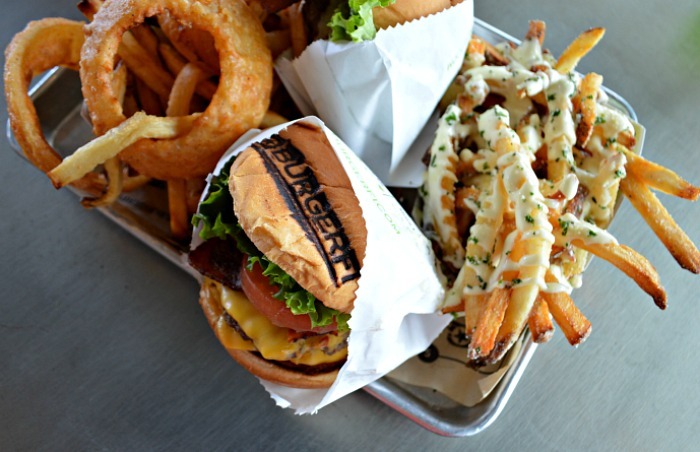 They were established 7 years ago and is one of the nation’s fastest growing, gourmet burger chains! All restaurants have an eco-friendly, modern design, similar to a bar or coffeehouse which makes the ambiance very inviting. It’s the perfect place to hang out and relax for a while, and still maintain the convenience of fast food for those who need to eat and run. 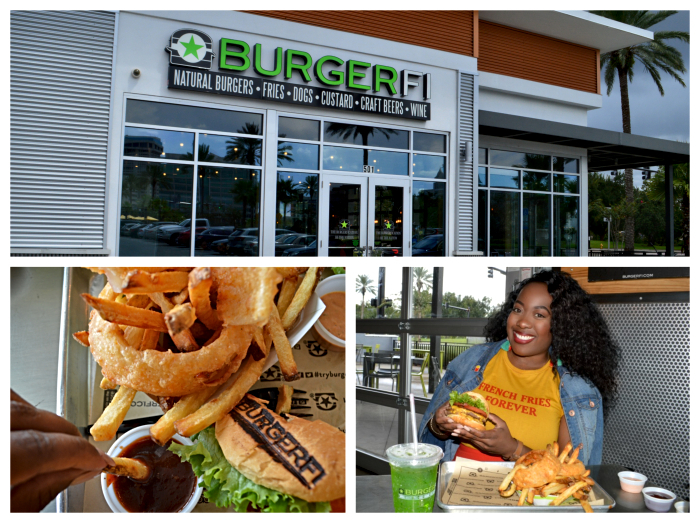 I love that they only use 100% natural Angus beef patties and I especially love how you can customize your meal with the large variety of toppings they offer! 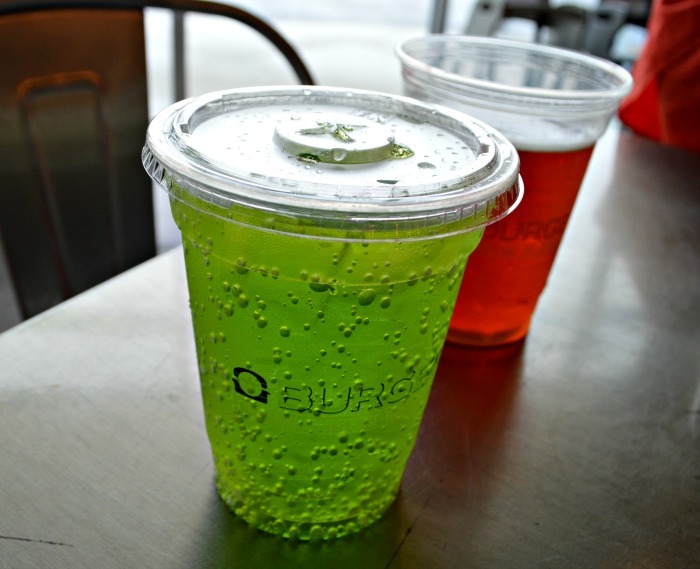 Of course no burger joint is complete without milk shakes and BurgerFi offers them in the traditional flavors like vanilla, chocolate, and strawberry and some newer flavors like red velvet, and chocolate mocha. They also have craft beers and wines, and your fav soft drinks. If you’re a burger lover, more importantly, a cheeseburger lover, you should definitely stop by Burger Fi to celebrate National CheeseBurger Day tomorrow! You can’t beat a gourmet cheeseburger for a buck! As always, thanks for stopping by! Have a fabulous week! The Bleu Chocolat Cafe… LOVE!